" Cichlid eggs size determines the size of the newly born young, and it is related to its survival "
If you have spawned more than one species of cichlid, you may have noticed that not all cichlid eggs are the same. Many of the African mouthbrooders have a few, large eggs, while other cichlids such as angelfish or discus have many, small eggs. Why is this? There are many factors influencing the size of an egg laid by a female cichlid. The easiest to imagine is the "tradeoff" between egg size and egg number. If you think of the inside of a female fish as being a fixed size, she only has so much room for eggs. The larger each individual egg is, the fewer she can make at a time. There are other, less obvious things affecting egg size. Hatching time is one of these. The time it takes an egg to hatch is dependent on the size of the egg. Longer eggs take longer to hatch and develop than smaller eggs. This can be doubly important with cichlids because the parents take care of the eggs and fry. This means that any extra time a larger egg takes to hatch and develop is extra time the parent or parents must spend watching over them. It delays the time when the parents can spawn again. Its even more important for a mouth-brooder that can't feed while it has eggs in its mouth. The larger the egg, the longer it takes to hatch, and the longer the parent goes without food. On the other hand, larger eggs produce larger fry right from the start. Larger fry have a better chance of survival than smaller fry since they can swim better and are better able to avoid predators. So what is a parent to do? How do cichlids solve the puzzle of how large an egg to make? The simple answer is, we don't know for sure. We do know that different species appear to solve the problem in different ways. That's why we see species like the African mouth-brooder Tropheus moori laying only 5 to 20 very large eggs, whereas an equally sized convict cichlid (Cichlasoma nigrofasciatum) might lay five or six hundred much smaller eggs. For the past several years, I have been conducting simple experiments on cichlids to try to understand these different solutions. I am starting to get some interesting answers, but this research hinges on understanding the variation in cichlid eggs across the whole family. In order to do this, I need to determine the egg size for as many species of cichlids as possible. To get this information, I breed as many species of cichlids as I can. However, I can only keep and breed a small fraction of the over 1200 species of cichlids. Fortunately, members of various cichlid clubs and others have come forth in a tremendous way to help me in this research, called the Cichlid Egg Project. By providing eggs from species they have bred at home, these contributors have gotten the project off to a great start. We now have data on 80 species of cichlids (Table 1). The measurements of egg size are taken by observing the egg under a dissecting microscope and quantifying the egg length and width using an "ocular micrometer", essentially a ruler in the eyepiece that allows accurate measurement to 1/100th of a millimeter. The diameter of a cichlid egg is not obvious because cichlid eggs are not perfectly round, unlike many fish eggs. In fact, cichlid eggs are shaped much like the egg of a chicken, though this also varies with species. To compare eggs, we need a ingle number to represent the size of the egg, and in the table am presenting what is called the effective diameter (Coleman 992). Effective diameter (de) is in essence a three-dimensional average of length and width. That is, it is the diameter the egg should be if the egg were a perfect sphere of the same volume as he actual egg. [For ellipsoid eggs it is the cube root of the eight times the width times the lenght]. Some interesting patterns are already emerging from the data. Notice the tremendous variation in egg size among the African cichlids. Though I have only a small representation of the total old world species, there is clearly variation from tiny (e.g., Hemichromis guttatus, de = 1.2 mm) to huge (Cyphotilapia frontosa, de = 4.8 mm). This is not the case in the Neotropical genus Cichlasoma. Most Cichlasoma lay an egg roughly the size of a convict cichlid (A. nigrofasciatum) egg, with a length of just under 2 mm, a width of 1.3 mm and an effective diameter of 1.5 mm. A few species lay eggs that are a little larger (e.g., bifasciatum, cyanoguttatum, fenestratum), though the differences are fairly small. Notice also that egg size and adult size are not strictly related. C. spilurum and C. managuense lay almost the same size egg, yet a spilurum is much smaller than any managuense. Other Neotropical genera vary more than the Cichlasoma , though not to the extent of the Africans. The New World does possess some species with very tiny eggs, such as the ram (Microgeophagus ramirezi). The only African group to come close to this are the Hemichromis species. discus lay rather small eggs, which may be explicable in light of the obligatory mucous feeding of the fry on the parents (small eggs allows more babies, but the babies don't suffer from being small because they get a guaranteed food supply feeding off their parents' mucous and grow quickly). On the other hand, midas cichlid (C. citrinellum) and C. bifasciatum fry also feed off parental mucous yet they have a much larger egg than discus. There are lots of puzzling questions still to be solved. If you look at the table carefully, you may notice one striking exception to the pattern in the Cichlasoma. For some reason, Cichlasoma tuba lays much larger eggs than the others. These are not as large as the eggs of say a Cyphotilapia frontosa or a Tropheus moori, but they are noteworthy, and one aspect of my current research is trying to understand why tuba has opted for such a large egg. To give an idea of the implications of this egg size, let's take a quick look at tuba. C. tuba is a large cichlid (roughly 20-30cm in length) found on the Atlantic drainage of Costa Rica. It lives in relatively fast-flowing streams where it spawns along the banks. I was fortunate enough to travel to Costa Rica several years ago and witness this species spawning. I can attest to the current, because I had to hold on to branches or logs to keep from being swept away! The most amazing sight is the tuba fry. They have no trouble coping with the rapid current. This is accomplished, I suspect, through a combination of exploiting micro-eddies in the current and by being fairly large right from the start. In order to have a large fry, you have to start with a large egg. So the large egg size of tuba may be an adaptation allowing them to breed in these fast-moving waters. Fast-moving water also contains more oxygen, a necessary requirement for large eggs. The tuba pay a tremendous cost for this large egg. Any other Cichlasoma of similar body size, making a more "normal" sized egg, e.g., a large midas cichlid (C. citrinellum), lays at least 3000 eggs. A tuba lays only 300! Understanding Cichlasoma tuba is just one example of the kinds of things you can do with an extensive set of comparative data across a large group of species. We only notice that tuba are laying a large egg when we see that so many others are not. The more data we get, the easier it is to discern the true causes of egg size variation from the many factors that vary between species. This is an ongoing project. There are over a thousand species of cichlids and while I don't think I'll get them all, there are still large numbers of species common in the hobby from which I have no representation. For example, I am missing the Jack Dempsey (Cichlasoma octofasciatum), most species of Apistogramma and so on, not to mention huge numbers of Africans. This is where you can help. See below on how to donate eggs. Please don't think that I don't need your eggs (the only exception being convict cichlids!). Even "common" species with "common" eggs are extremely valuable, because it is only when we compare "unusual" species against the common ones that patterns emerge. Also, just because I already have a sample from a species you are breeding doesn't mean I wouldn't like another sample. Additional samples help me get a handle on how much variation there is between females within the species. For some species such as convict cichlids there doesn't appear to be much variation, but for others this isn't the case. These differences are very interesting and probably reflect important aspects of their biology. Your donations of fish eggs will help unravel some of the complex mysteries of cichlid reproductive biology. To help out, all you need are three things. The first is the fish! The second is a little jar or vial which I'd be happy to send you. The third is a little bit of 70% isopropyl alcohol, often called rubbing alcohol. This is inexpensive and available pretty much everywhere in the world at drugstores or grocery stores. Since you'll only need a few drops for a batch of eggs, a small bottle of rubbing alcohol will last a life-time. The hardest part is getting the fish to breed. After spawning, the trick is to get a few eggs away from the parents. Twenty eggs from any given spawn would be ideal, but even 1 egg is great if that's all you can get, particularly for the larger mouthbrooders. For substrate brooders, the eggs are attached to the substrate by invisible sticky threads. Scrape the eggs off with a fine, dull implement such as a butter knife. Fish eggs are kind of rubbery and they survive being scraped off just fine. Avoid using a sharp knife or a razor blade because that may slice into the actual egg. Incidentally, if the eggs are laid on a flowerpot or other removable object, you can take the pot right out of the water, scrape the eggs off the pot and put the pot with the rest of the eggs back in the aquarium. The remaining eggs will hatch as if nothing had happened -- I do this all the time and you can keep cichlid eggs out for at least 3 or 4 minutes. Cichlid eggs are incredible little things! There are different techniques for removing eggs (also called "stripping") mouthbrooders. One technique that I have seen work well is to hold the fish in a net above the tank, with its mouth down. Then dribble a little water along the fish's side into its gills. The fish will often cough up the eggs into the net. Once you have the eggs, put them in a vial and add enough rubbing alcohol to at least completely cover the eggs. The alcohol kills the eggs instantly but also preserves them. Most importantly, seal the vial tightly, otherwise the alcohol will leak out or evaporate. Please write on the vial the species name, your name, and the date. You can mail the vial to me. I have found that eggs preserved in rubbing alcohol change very little over time (even many months) so you can get them to me at your convenience. If you have any questions or want me to send you the latest updated list of egg sizes, don't hesitate to write. If you have access to the Internet and want to see how the project is going, point your web browser at http://www.cichlidresearch.com and you will find the latest information. 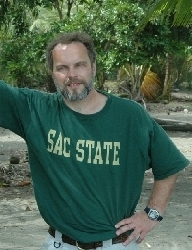 Mailing address: Ron Coleman, Department of Integrative Biology, University of California, Berkeley, CA 94720-3140 USA. 510-642-5318. I thank Juan Miguel Artigas Azas for translating this article into Spanish. I thank the PCCA (Pacific Coast Cichlid Association) for their extensive help in this project and the following individuals for their donations of cichlid eggs: Judy Auditore, Philip Ayres, Will Berg, Rich and Laura Bireley, Frank Choy, Derek Chung, Peter Collins, Gerald Desquesnes, Joe Dougherty, Dan Felts, Brian Ferkovich, JC Guerrero, Troy Hansen, Wanda Jacobson, Danny Kent, John Kepplin, Bob Lavery, Jim Lawson, Ron Lorscheider, David MacAfee, Chuck Rambo, Mike Riehle, Heather Roberson, Bob Roberts, Toshi Sasakado, Jason Schulterbrandt, Albert So and Ray Walliser. I thank Robin Whittall and Alison Galvani for their assistance in measuring eggs. Coleman, Ron. (June 04, 1996). "The Cichlid Egg Project". Cichlid Room Companion. Retrieved on April 20, 2019, from: https://www.cichlidae.com/article.php?id=13.